Sagittal section of the head showing the mouth and sinuses. 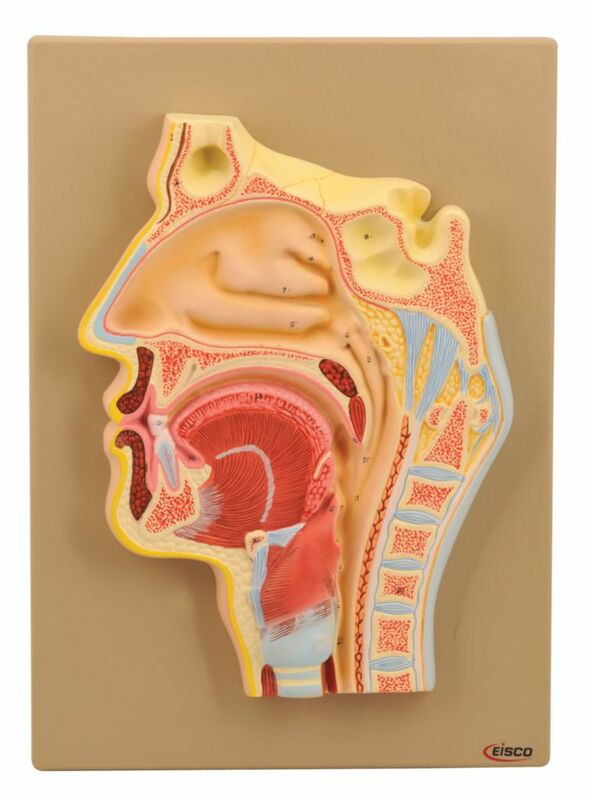 Enlarged 2x life size to show greater detail and allow for study of internal structures of the mouth, nose, sinus cavities, and larynx. Excellent for study explaining breathing and swallowing, as well as anatomy of the head.